Drive-in pallet racking is one of if not the most space efficient storage pallet racks Redirack supply. 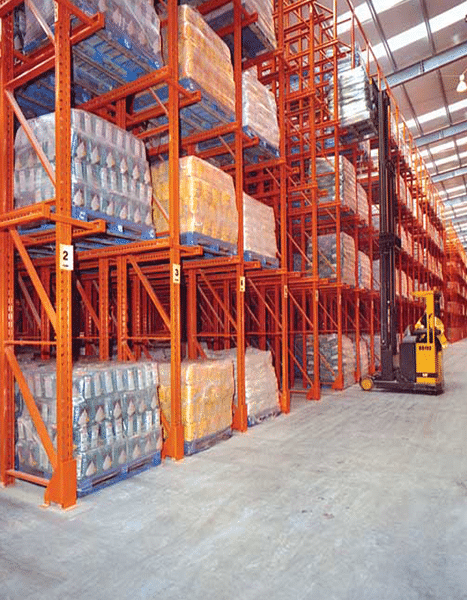 This type of pallet racking is extremely useful for storing goods that are bought in large amounts or bulk. 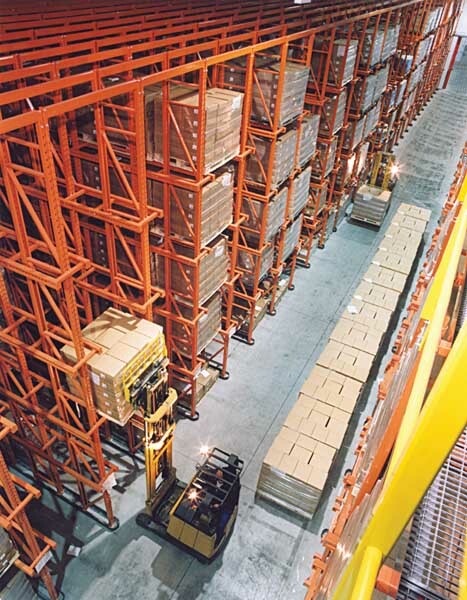 Drive-in pallet racking is a prime requirement of your warehouse. Eliminating aisles produces a higher storage density at the expense of selectivity. The first pallet into a lane will be the last out. 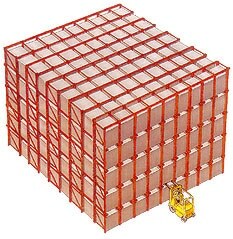 However, in applications where pallets are received and despatched in batch quantities this is not a disadvantage for this pallet rack. 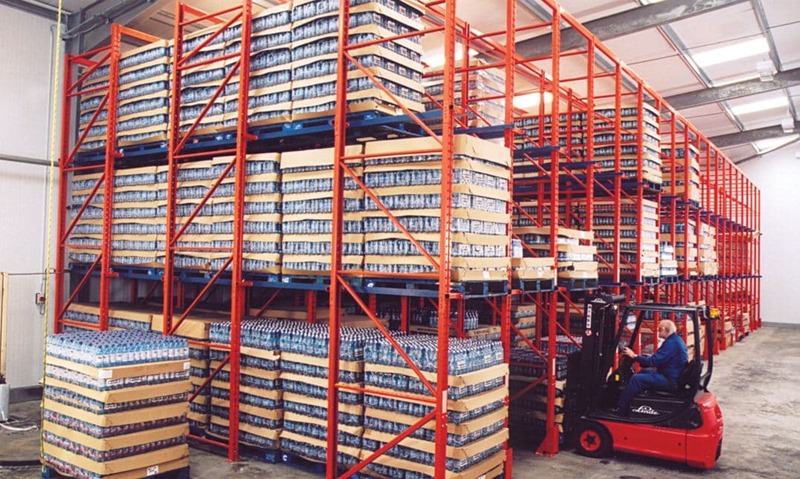 The drive-in pallet racking allows users to make the most of the height available for storage, making it a high-density racking system with many pallets being stacked in close quarters. Utilisation of runners to carry the pallets ensures that each pallet is supported so damage from crushing is eliminated. 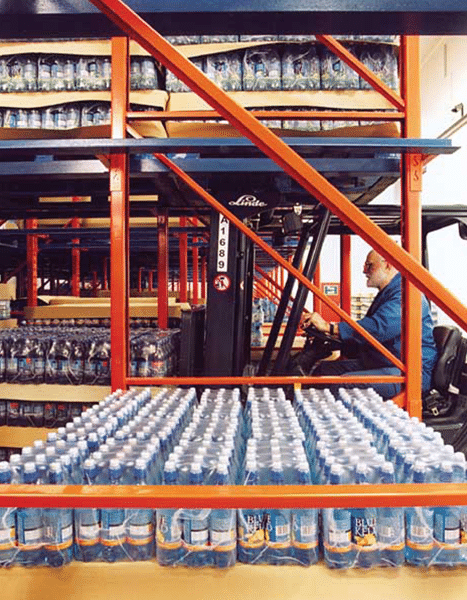 Drive-in racking achieves this fete by placing runners on the racking allowing trucks to physically enter the pallet racks to deposit or fetch goods meaning that speed of the of the operation is usually good. It can be further increased by the provision of lead-in rails and guidance rails within the lanes.